Passover is just around the corner and these macaroons are not only melt-in-your-mouth delicious but they’re super healthy too! The combo of healthy fat from the coconut with lemon is very healing for your liver’s immune system. These are perfect to share with family, friends, include in lunchboxes or an anytime treat. Gluten-free, dairy-free and KID APPROVED! Add all the ingredients to a food processor and pulse until the mixture is combined well – about 30 seconds. Coconut shreds are much smaller but can still be noticeable. Using a cookie scoop or spoon, scoop out firmly packed balls of mixture and place on the baking sheet. Bake for about 12-15 minutes and until golden brown on the bottom. Let cool for at least 10 minutes on baking sheets before transferring to wire rack or plate to cool completely. Cookies can be stored in an airtight container at room temperature for about 4 days, in the refrigerator for up to a week, and freezer for 6 months. Healthier cookies that are perfect for an on-the-go breakfast, snack or after dinner treat that you’ll love! My daughter wanted to make a “valentine cookie” during a snow day so these are a slightly adapted version of a recipe I found on www.thebakermama.com. Made with such simple ingredients and they came out so good! Chewy, rich, sweet and all around delicious! My kids and their friends gobbled them up in no time! Gluten-free, dairy-free and KID APPROVED! You can view the original recipe here. Preheat oven to 350 degrees. Line 2 baking sheets with parchment paper or a silpat baking mats. In a large bowl, stir together the almond butter, honey and vanilla until smooth. Then add in the oatmeal, flaxseed, baking soda, and salt. Stir mixture very well. Finally stir in the chocolate chips and the raspberries until well distributed throughout. The mixture will moisten a little from the raspberries. Form 2 tbsp. (approximately) of dough into balls and place a few inches apart on the baking sheet. Slightly flatten each cookie with the palm of your hand. Bake for about 15 minutes or until golden brown. Let cool for at least 15 minutes on baking sheets before transferring to wire rack or plate to cool completely. Cookies can be stored in an airtight container at room temperature for about 4 days or in the refrigerator for up to a week. I made these delicious little snacks to help get my kids and me through the final stretch of the school year. With all the end of the year parties, they wind up eating a lot of junk, so these little guys pack a lot of protein and nutrition, minus any of the processed sugars or other questionable ingredients. Gluten and dairy-free and made with sunflower seed butter, they are the perfect snack for a nut-free school and taste like a chocolate chip cookie that just came out of the oven - crisp on the outside, soft and gooey in the middle. Made with only a few ingredients, they are super easy to make! In a medium bowl, whisk together the maple syrup, sunbutter, and ground flaxseed. In a separate bowl, stir together the oats, salt and cinnamon. Add the sunbutter mixture to the oat mixture and stir well to combine. Using your hands, press the oat mixture firmly into each cup of a mini muffin pan. I used a silicone one so they were easy to remove. You can use a regular mini muffin pan but be sure to use coconut oil to coat the pan generously so they don’t stick. 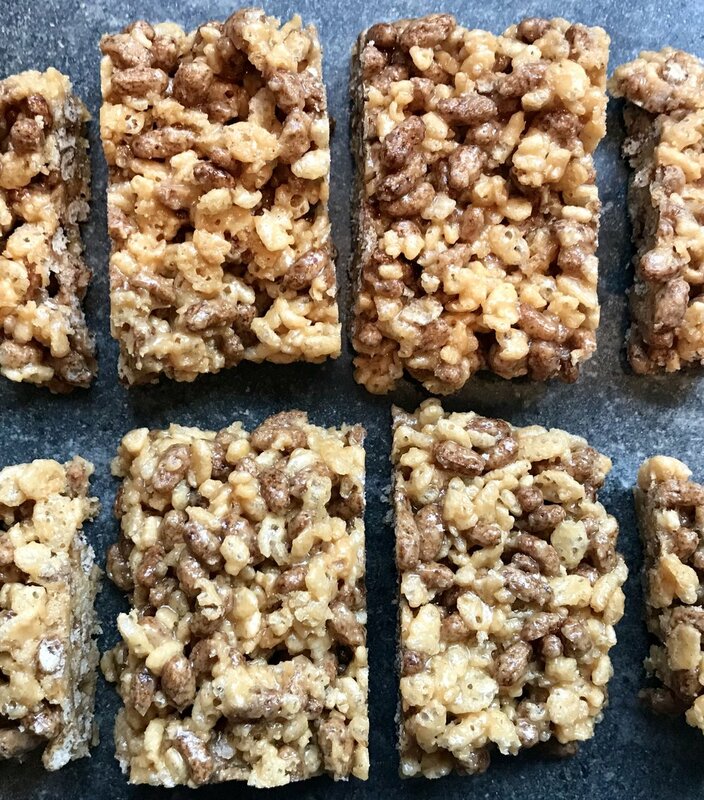 Bake for 15 minutes and then allow the pan to cool for about 10 minutes before removing the oat bites from the pan to cool on a wire rack. Store in an airtight container in the refrigerator for up to 1 week or freezer for up to 6 months. Amazing, naturally sweetened no bake cookies to satisfy your sweet tooth in a healthy way! They are decadent, delicious and so easy to make. Give this simple recipe a try; your family and friends will devour them in no time! In a medium saucepan combine coconut sugar, cocoa or cacao powder, almond milk and coconut oil. Bring to low boil over medium heat, stirring constantly until bubbling for 1 minute. Remove from heat and add peanut butter, shredded coconut, oats, vanilla and salt. Stir to fully incorporate all ingredients. Using a small ice cream scooper or rounded spoon, drop heaping tablespoon amounts of the batter onto the prepared baking sheet. Sprinkle with additional coconut or chopped nuts (optional). Let sit at room temperature until cooled and firm – about 30 minutes and ENJOY! 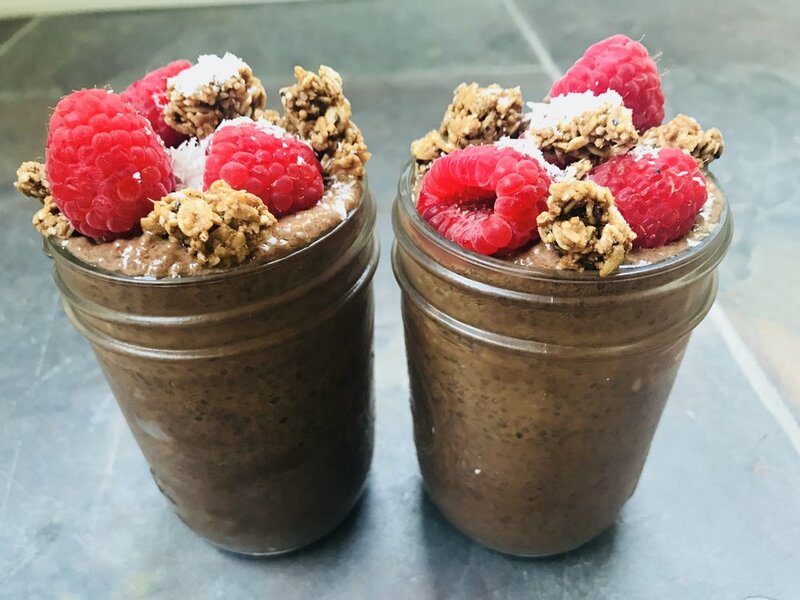 Thick, rich, creamy, whipped, chocolatey goodness…so decadent, you’d never believe it’s healthy and beyond easy to throw together! 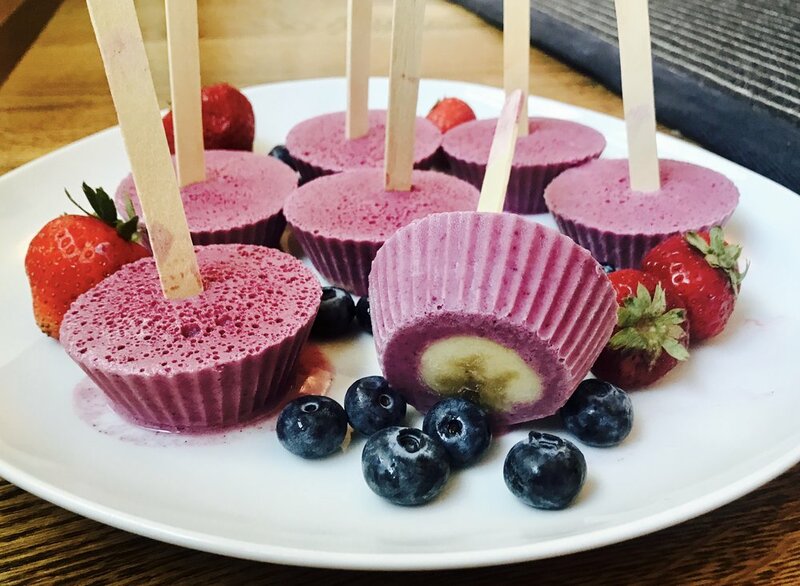 All you need are 10 minutes and a few simple ingredients to make this dairy-free, antioxidant packed mousse that’s the perfect treat to satisfy any sweet tooth! Bring about an inch of water to a simmer in a small saucepan. Place the chocolate in a heatproof bowl over the saucepan making sure the water doesn’t touch the bottom of the bowl. Stir chocolate until melted, remove bowl from heat and set aside to cool slightly. Scoop the solid thick cream on top out of the can of coconut milk, trying not to get any of the water and place in a medium bowl. You can throw away cans with the water in them as you won’t need them anymore. Add honey. Using a mixer beat on high until thick and creamy, about 2 minutes. Reserve about 4-5 tablespoons of the whipped cream to use as a topping for the mousse. Set aside. Pour the melted chocolate, scraped vanilla seeds or vanilla extract and cocoa powder into the bowl. Beat on low until smooth and thick. Divide mousse between 4 glasses or bowls. Top with whipped cream, shaved chocolate and berries. Fruit leather/roll ups are a kid favorite at our house! I love to pack it as a snack because it’s delicious and nutritious and doesn’t need to be refrigerated. Made with only 3 ingredients, without the artificial everything in the store bought versions and so simple that kids of any age can help make! Blend fruit, honey and lemon juice in a blender or food processor until smooth. Line a baking sheet with parchment paper, silicon baking mat or plastic wrap. Pour and spread mixture evenly (1/8 to ¼ inch thick) onto baking sheet. Mixture should be pourable but not thin enough to run off the baking sheet. Bake for about 3-4 hours or until the center is firm and no longer sticky to the touch. Cut into strips and roll up. Can be stored for up to a month in a covered container. I made this crumble as an afterschool snack for my kids on a day that they both had sports until 7:30pm, which meant they wouldn’t be eating dinner until late. I wanted something that had protein and healthy fats to give them energy and keep them satisfied until dinner. Not only did my kids devour it, but my son’s high school tutor tried it and absolutely loved it saying it was exactly the kind of snack she and all her friends would make (or have their mom’s make)! It’s also the perfect way to indulge our own sweet tooth. It’s plenty sweet without adding any sugar, and the spices give it a delicious taste that you’ll love! In a sauté pan, heat coconut oil and ghee and add the chopped apple, pear, cinnamon and nutmeg. Cook until fruit is tender, about 7-10 min. Add oats and cook for another couple of minutes to toast the oats. Next, add the almonds, cook for 1 minute and remove from heat. Spoon mixture into 2 bowls and top with a few extra oats and almonds and sprinkle with a little more cinnamon. This version of brown rice pudding makes for a delicious and healthy treat. Rich and creamy and made with just 5 ingredients - no preservatives, artificial flavors and colors. Not only is this the perfect comfort food, but the brown rice also gives you the added benefits of fiber, selenium, manganese and anti-oxidants - all which help to prevent damage to your body! Not only will you love it, but even your kiddies will be so happy to have this treat as an after school snack! If you have the time, soak your rice in a container with double the amount of water for anywhere between 8-24 hours. Drain in a colander and then rinse under running water and drain again. Or for a fast wash you can put the rice into a pot and rinse well until the rinsing water runs clear. Next, bring 1 cup of rice, 3 cups of milk, coconut sugar, vanilla and cinnamon to a rolling boil. Turn to low, cover and let simmer until all liquid has absorbed which will take anywhere from 45 to 60 minutes. Finally add additional cup of milk, sprinkle with a dash of cinnamon and add toppings if desired! Store leftovers in glass containers (I like to use small glass mason jars) in the refrigerator. In a vitamix or blender, blend strawberries, water and honey. Pour mixture to fill 1/3 popsicle mold. Freeze popsicles for about 40 minutes. Blend coconut milk and honey. Remove popsicles from freezer; pour coconut mixture to fill next 1/3 of mold. Freeze popsicles for another 40 minutes. Blend blueberries, water and honey. Remove popsicles from freezer; pour blueberry mixture to fill remainder of popsicle molds. Insert popsicle sticks and freeze for at least 1 hour. This just might be the easiest cookie recipe anyone could ever make! 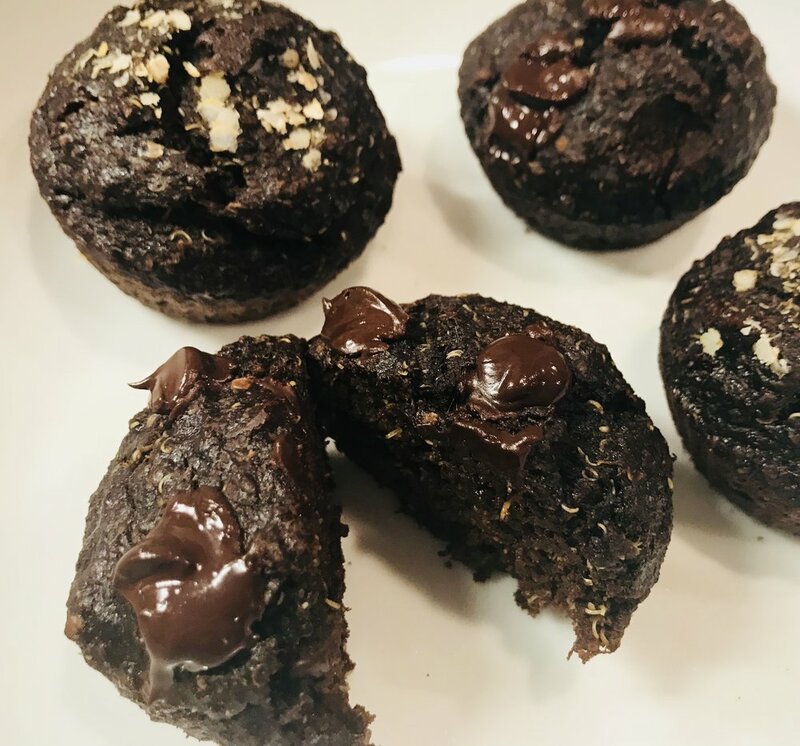 With just a few ingredients that you probably already have in your kitchen and less than 15 minutes to bake, you have a high protein cookie that’s delicious, grain-free and naturally sweetened. In a medium sized bowl mix all the ingredients except chocolate chips together until stiff dough is formed. Roll the dough into balls and flatten with a fork, making a crosshatch pattern. Bake about 1 inch apart until golden brown, about 12-15 minutes. Since cookies are flourless, they’re very tender so let them cool for a little while before serving.